Mmm, it's been too long! I'm making a pile of all the new stuff you haven't seen, and will post in the coming weeks. The lovelies above are called "Blue Moon" - I'll be honest, I've had the blue apatite for months and happy it finally has a home. 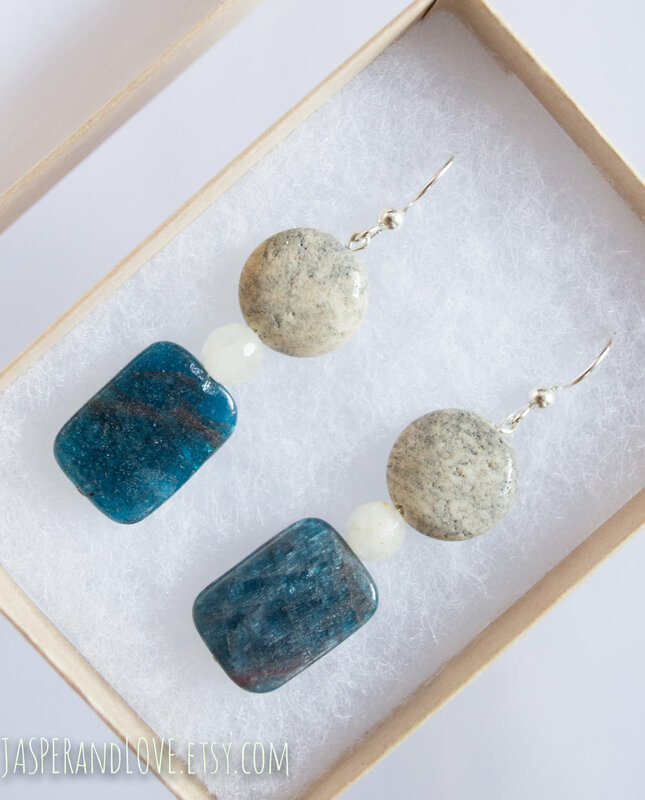 I call these "By the Lake" because they remind me of a hot summer afternoon at Lake Michigan. 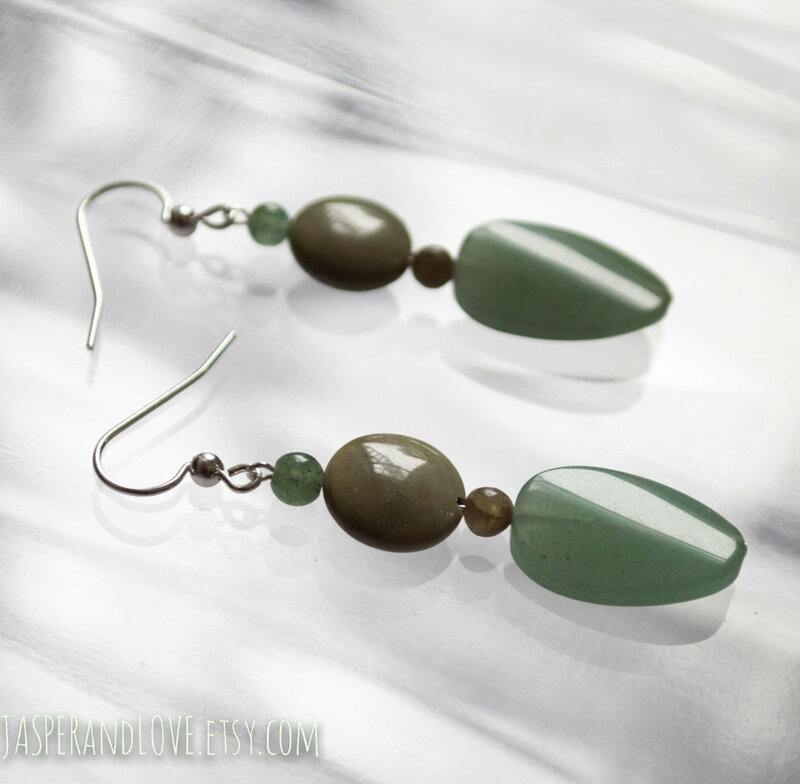 Don't worry - you'll see those oval curved aventurine stones more often in weeks and months to come! 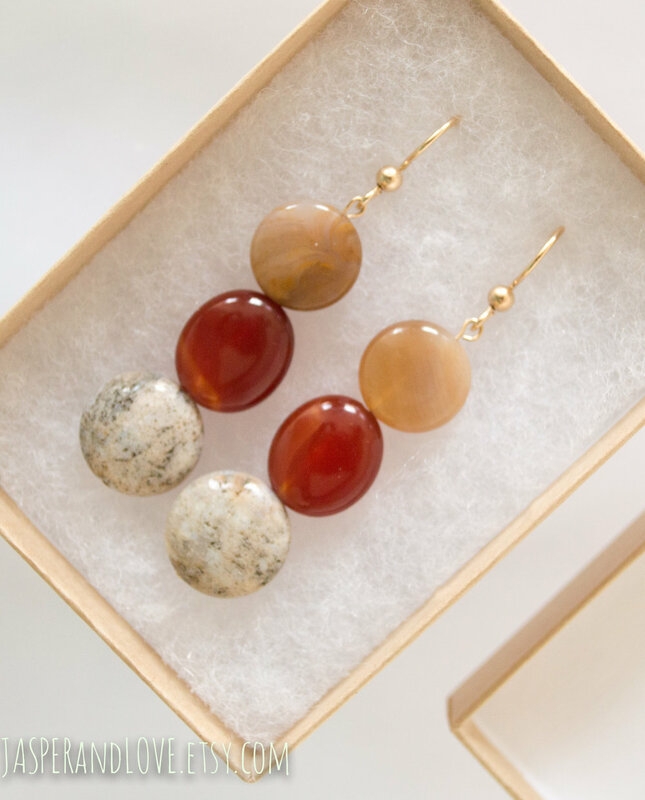 I *adore* these carnelian earrings, framed by blackwood jasper (the name even tastes good, they're so beautiful) and fossil coral. I picture these with a camel wool pencil skirt, but obviously other options abound. Nora... I'm sure you've noticed that I can't walk past a good asymmetrical stone without adding it to my tray (the carts of jewelry stores), and this was no exception. Maybe I paid too much for them. But just look at 'em, I mean, how could I walk on by?